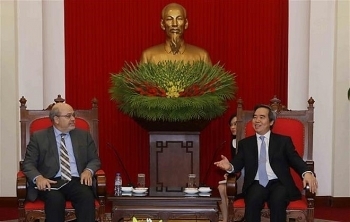 Politburo member and Chairman of the Party Central Committee’s Commission for Economic Affairs Nguyen Van Binh received a delegation from the International Monetary Fund (IMF) led by division chief in IMF’s Asia-Pacific department Alex Mourmouras in Hanoi on March 29. 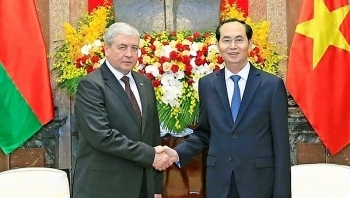 President Tran Dai Quang expressed his delight at the development of the Vietnam-Belarus friendship and cooperation in all fields while hosting Belarusian Deputy Prime Minister Vladimir Semashko in Hanoi on March 28. 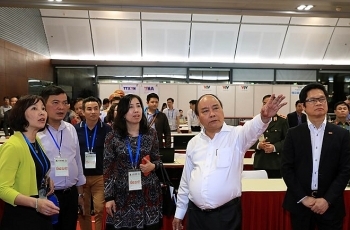 Prime Minister Nguyen Xuan Phuc chaired a rehearsal of activities of the sixth Greater Mekong Sub-region Summit (GMS-6) and the 10th Cambodia-Laos-Vietnam Development Triangle Summit (CLV-10) in Hanoi on March 27. 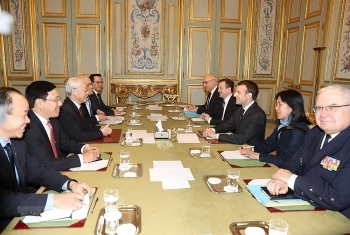 French President Emmanuel Macron said he wants to strengthen the strategic partnership with Vietnam while holding talks with General Secretary of the Communist Party of Vietnam (CPV) Central Committee Nguyen Phu Trong in Paris on March 27. 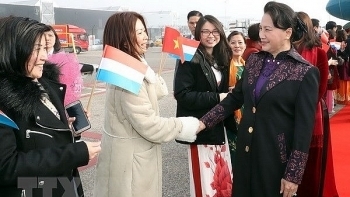 Chairwoman of the Vietnamese National Assembly Nguyen Thi Kim Ngan arrived at Schiphol International Airport, Amsterdam, on March 26 morning (local time), beginning her three-day official visit to the Netherlands at the invitation of Speaker of the Dutch House of Representatives Khadija Arib. 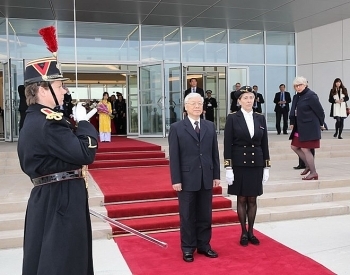 The official visit to France from March 25-27 by General Secretary of the Communist Party of Vietnam Central Committee Nguyen Phu Trong and a high-raking Vietnamese delegation is being made at the invitation of French President Emmanuel Macron. 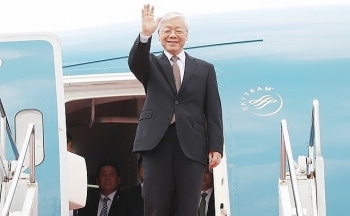 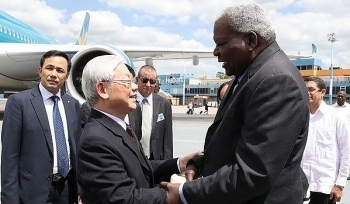 General Secretary of the Communist Party of Vietnam (CPV) Central Committee Nguyen Phu Trong will pay an official visit to France between March 25-27 and a state visit to Cuba from March 28-30. 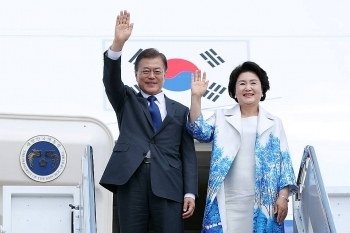 President Moon Jae-in of the Republic of Korea and his spouse began a three-day State visit to Vietnam on March 22. 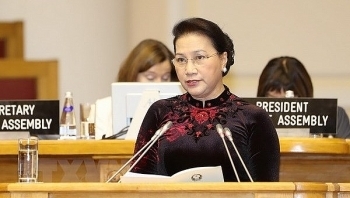 Chairwoman of the National Assembly Nguyen Thi Kim Ngan will attend the 138th Inter-Parliamentary Union Assembly (IPU-138) and related meetings in Geneva, Switzerland, from March 24-25 and pay an official visit to the Netherlands from March 26-28.